Single family home that contains 1,840 sq ft and was built in 2002. It contains 4 bedrooms and 2 bathrooms. Newly remodeled kitchen, doors, baseboards, porch, and bathrooms. This home comes with NO HOA and a HUGE LOT with RV Gate! 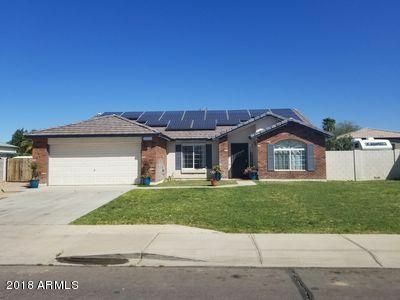 This home is well maintained, Single-Story, situated on N/S Lot & features Vaulted Ceilings, New Appliances, Granite Countertops in kitchen, New Blinds in all rooms, Open Floor-plan with large windows for abundant Natural Light! This home is MOVE-IN READY & the entertainers choice with a HUGE back yard. Room for ALL YOUR TOYS! Location is ideal for golf/hiking/lakes and the 202 and 60 Freeway are only a few minutes drive, so don't wait to schedule a private showing!